It's the time of the year again when we celebrate the many blessings we have received during the year and share them with our less fortunate brethren. SMP is celebrating it's year end party/charity event and you are most welcome to attend. 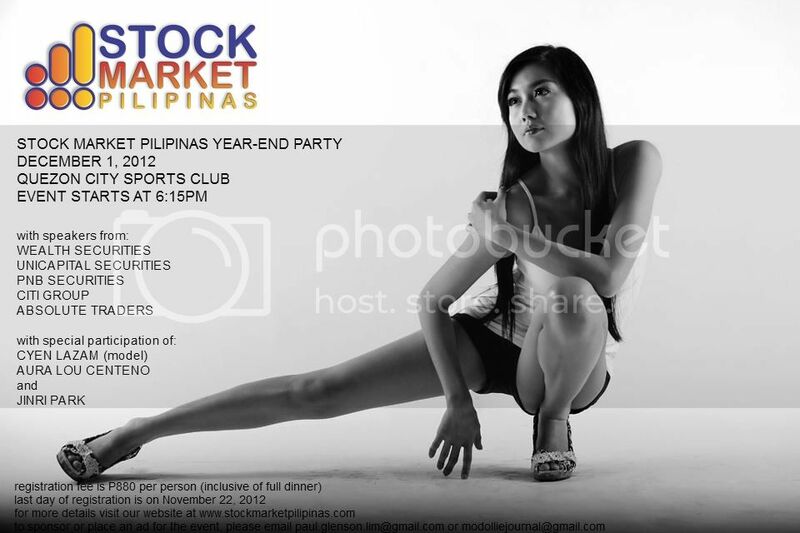 This year's event will be held on 01 December 2012, Saturday, at the QC Sports Club. 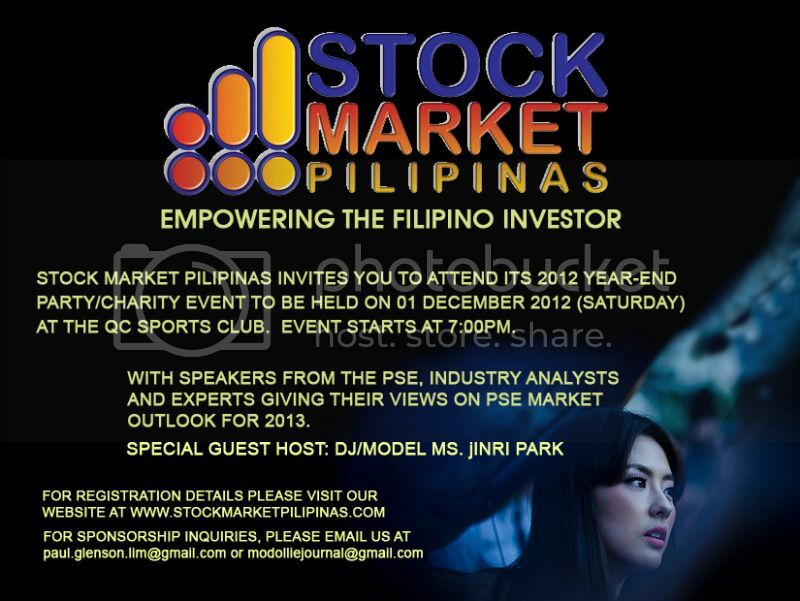 The event will run from 6:30pm to 9:30pm and will feature prominent speakers from the industry talking about the 2013 Philippine market outlook. Everybody is invited as long as you register before the deadline. 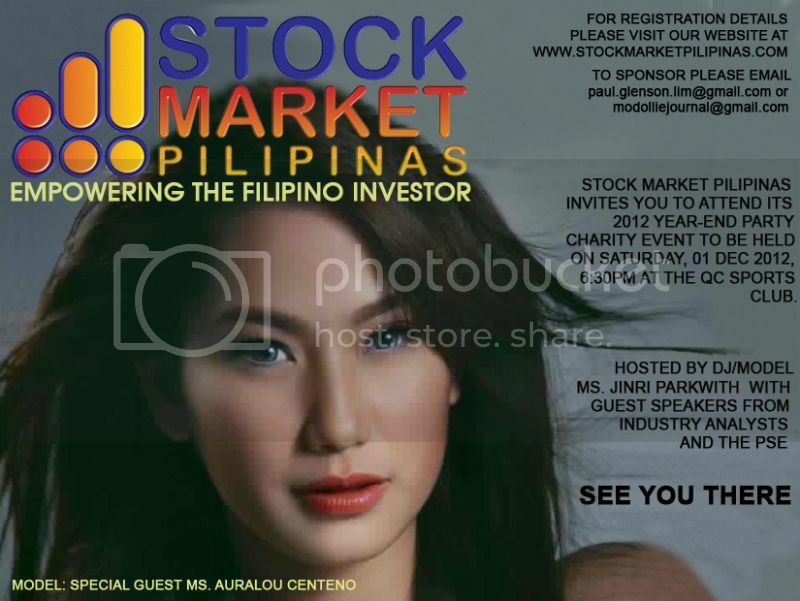 Our event will be hosted by than model/DJ Ms. Jinri Park and will be assisted by lovely ladies Ms. Cyen Lazam and Ms. Auralou Centeno. The php880 fee will cover the buffet dinner and a part of it shall be used to buy school supplies for the donations. Additional contribution in kind (school supplies, old children's clothes) are most welcome. These items will be shipped to Iloilo, and we will personally hand them over to the public school children of Iloilo City. Don't miss this chance to attend this fun filled event. We promise a night full of entertainment, the chance to bond with our fellow traders, and of course to the opportunity to help our less fortunate brethren. 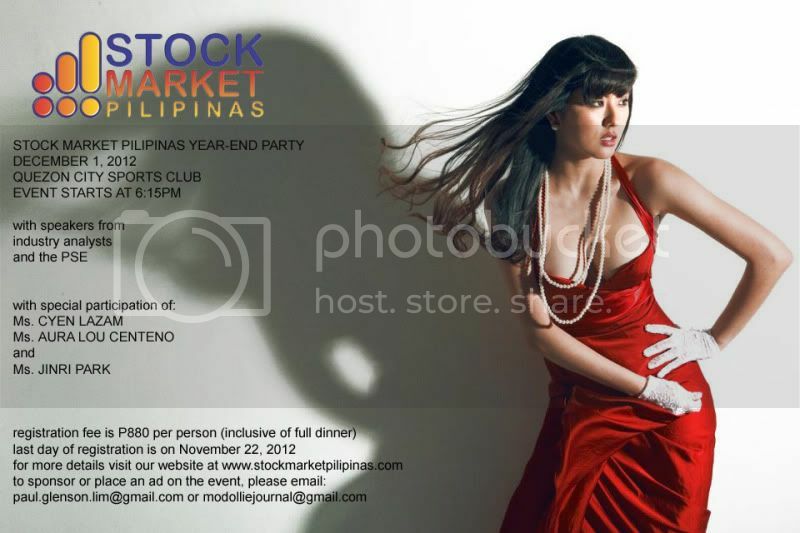 December EB event: SMP Year-End EB/Charity Event - A Different Kind of Experience! mga titas. post na ko kagad if interested kasi we have to book the venue in advance and pay the downpayment (which is 50% of the attendees) in advance. mahirap mag hula ng dami ng tao at baka wala kayong makain pag late mag register. sa mga di pa nag reregister! mag register na kayo! may ibubulgar akong sikrit sa EB, sigurado dym kayo kagad isang araw lang! (11-08-2012, 01:03 PM)glenchuy Wrote: sa mga di pa nag reregister! mag register na kayo! ano ibig sabihin ng dym boss glenchuy?